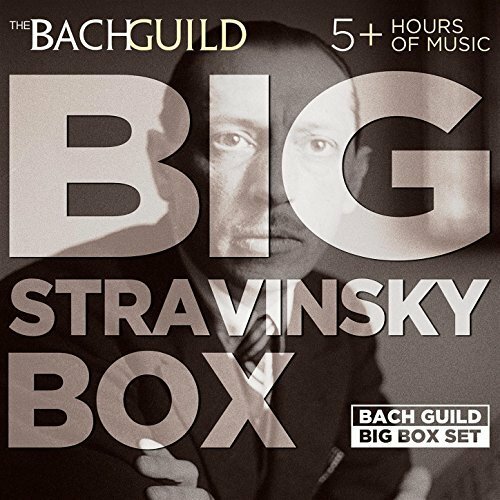 Big Stravinsky Box — 99 cents for the Firebird (the ballet, not the suite), the Rite of Spring, the Symphony of Psalms, Petrouchka and much else. The performance of The Soldier's Tale features French actress Madeline Milhaud, wife of the French composer. RAW liked Stravinsky. Big Shostakovich Box — another 99 cent package from the Bach Guild. Worth it alone for the piano quintet, featuring the Beethoven Quartet and the composer himself on piano, but as with the Stravinsky package, lots of other works. Richter, the Early Years — A 99 cents package of early recordings of my current favorite pianist, Sviatoslav Richter. Beethoven, Prokofiev, Debussy, Ravel, etc. Search "Bach Guild" in Amazon's digital music for other cheap packages of Beethoven, Bach, Mozart, etc.